What our customers are saying about our Holiday Cottages In Clapham To Rent. "A most relaxed atmosphere for all of us. We always respect the owners wishes, and this was very easy on this holiday. It was to be a chill out for us all including our pet dogs. Great scenery, atmosphere, and unobtrusive owners made this possible and did exceeed expectations. The cottage has a very welcoming appeal, and met all of our needs over a week. The bedding is high quality, and home from home for us. Perhaps there could be something introduced to help dry of wet clothing or apparatus. We are spoiled at home and have all mod cons. Midweek we had a little dampish weather, and the dogs have extreme gear of their own. After a route march, they would be wet and we dry them off rigourously with towels that we took, to help prevent the chills. It was hard to dry stuff off and might make the cottage feel a bit miserable, with wet laundry draped over stuff. All in all this was a great break, which we will do again. Perhaps Jill and John would want to offer feedback on our stay, so that we can improve our ways, if at all irritating. Thanks SYKES, and Eldroth, for a very pleasant countryside week. David & Eileen. 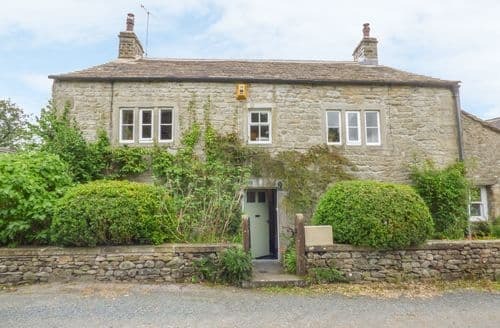 X"
"We had a lovely stay in this great little cottage just outside of the village of Clapham. 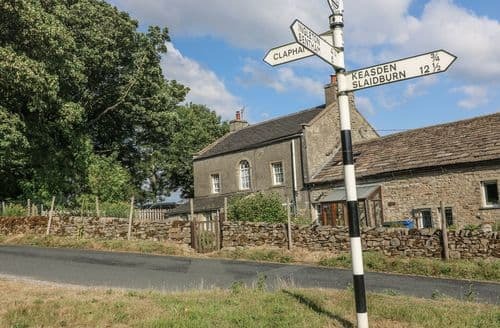 It is on the door step of the amazing Yorkshire dales and Forest of Bowland with spectacular caves and mountain walks accessible from the village and a regular train route on the doorstep that takes you to the lovely coast if you want a gentle day out. 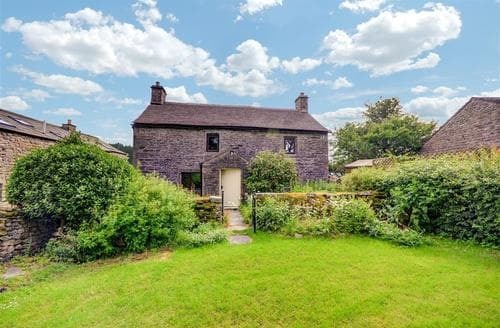 The cottage was very clean, cosy and compact with good facilities, tasteful decoration and everything that we needed ranging from picnic equipment and BBQ through to dog bowls/biscuits for our dog. We loved siting in the sheltered garden at the end of the day to unwind and relax . We had great weather but all Wi-Fi/TV etc. was efficient and there if you needed it for rainy days. The owners and neighbours were absolutely fabulous ensuring we felt very welcome and went over and beyond to be helpful with any queries. Clapham village is stunning and has an amazing community- run shop as well as a locals bar and really interesting antique/vintage shop as well as good eateries. 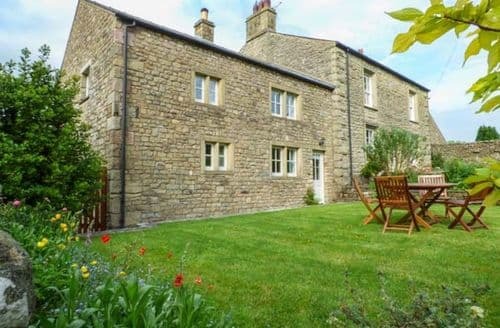 Both the cottage and location were ideal for a very relaxing and happy week. A big thank you - hope to come back at a different time of year." "We always respect the owners wishes, and this was very easy on this holiday. It was to be a chill out for us all including our pet dogs. Great scenery, atmosphere, and unobtrusive owners made this possible and did exceeed expectations. The cottage has a very welcoming appeal, and met all of our needs over a week. The bedding is high quality, and home from home for us. Perhaps there could be something introduced to help dry of wet clothing or apparatus. We are spoiled at home and have all mod cons. Midweek we had a little dampish weather, and the dogs have extreme gear of their own. After a route march, they would be wet and we dry them off rigourously with towels that we took, to help prevent the chills. It was hard to dry stuff off and might make the cottage feel a bit miserable, with wet laundry draped over stuff. All in all this was a great break, which we will do again. Perhaps Jill and John would want to offer feedback on our stay, so that we can improve our ways, if at all irritating. Thanks SYKES, and Eldroth, for a very pleasant countryside week. David & Eileen. 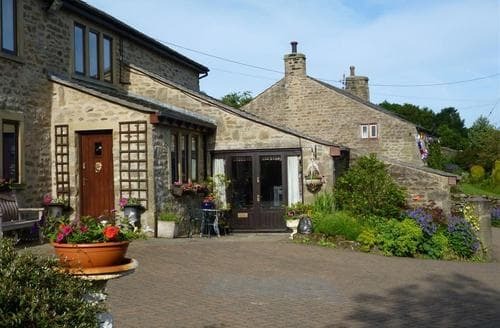 X"
"What a great hidden gem of cottage! My partner and I, and our Springer Spaniel Oscar, had a great week stay in late January. The cottage was warm, cosy, very well appointed, nicely decorated and spotlessly clean, not to mention a great base for exploring the local area. The kitchen was well stocked with pots, pans, cutlery, crockery, utensils etc., and also had everything that we might have needed for the dog too; if we had forgotten anything it would not have been a problem. The shortbread and preserves were also a nice touch, and the shortbread was great with a warming cup of tea after a cold winter walk! 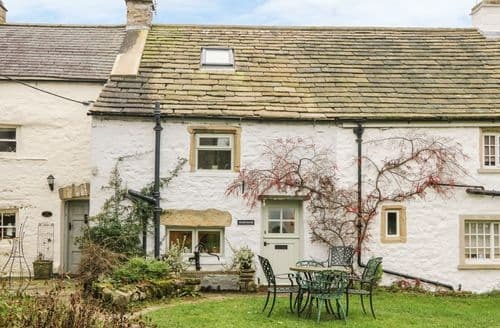 The cottage is in a very quiet location, but not too far from basic local amenities, and only a short drive from a supermarket; we found it to be a perfect base for a peaceful, relaxing week to unwind. The only downside was the low water pressure in the shower; but we just had soaks in the bath instead, which added to the relaxation, so not a big deal for us! We would (and I'm sure will) definitely stay again; and I would recommend to anyone looking a for a place in the area." 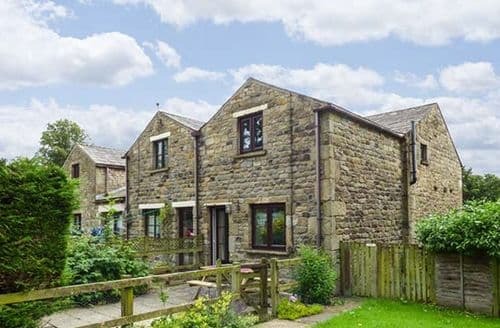 "It is on the door step of the amazing Yorkshire dales and Forest of Bowland with spectacular caves and mountain walks accessible from the village and a regular train route on the doorstep that takes you to the lovely coast if you want a gentle day out. 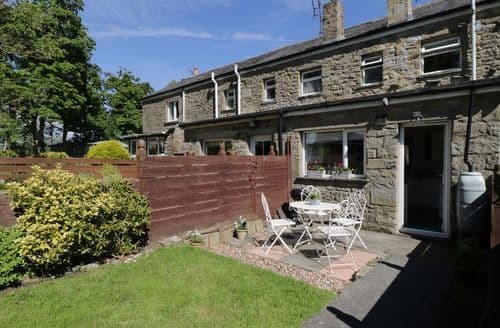 The cottage was very clean, cosy and compact with good facilities, tasteful decoration and everything that we needed ranging from picnic equipment and BBQ through to dog bowls/biscuits for our dog. We loved siting in the sheltered garden at the end of the day to unwind and relax . We had great weather but all Wi-Fi/TV etc. was efficient and there if you needed it for rainy days. The owners and neighbours were absolutely fabulous ensuring we felt very welcome and went over and beyond to be helpful with any queries. Clapham village is stunning and has an amazing community- run shop as well as a locals bar and really interesting antique/vintage shop as well as good eateries. Both the cottage and location were ideal for a very relaxing and happy week. A big thank you - hope to come back at a different time of year."